Skerryvore is a remote reef that lies off the west coast of Scotland, 12 miles (19 kilometres) south-west of the island of Tiree. Skerryvore is best known as the name given to the lighthouse on the skerry, built with some difficulty between 1838 and 1844 by Alan Stevenson. 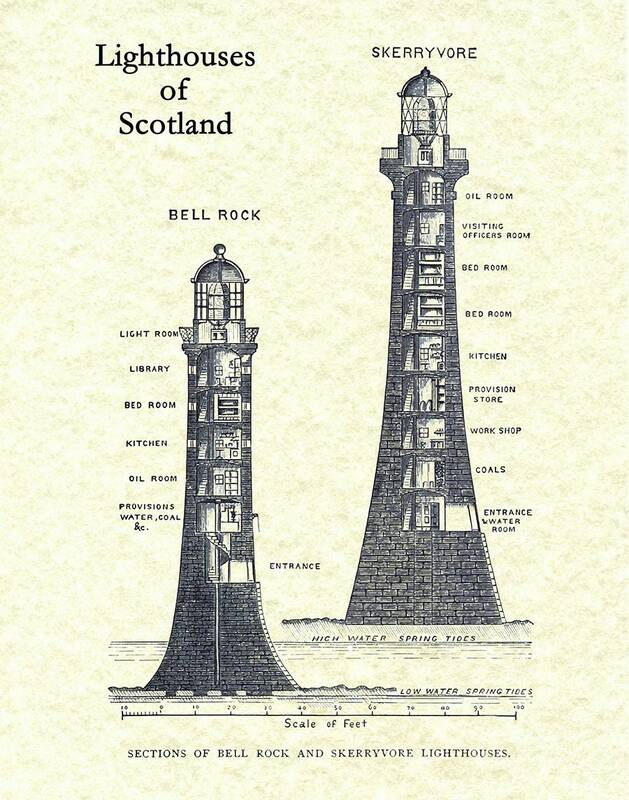 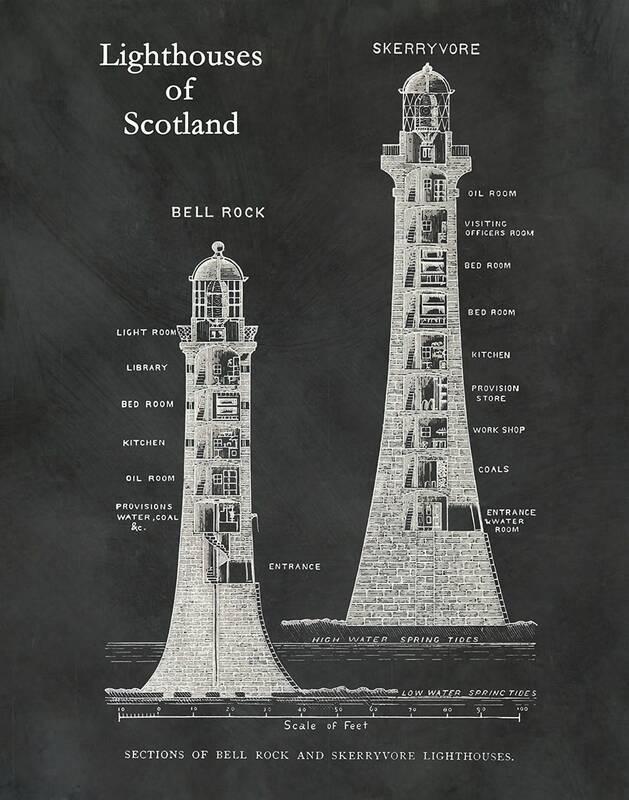 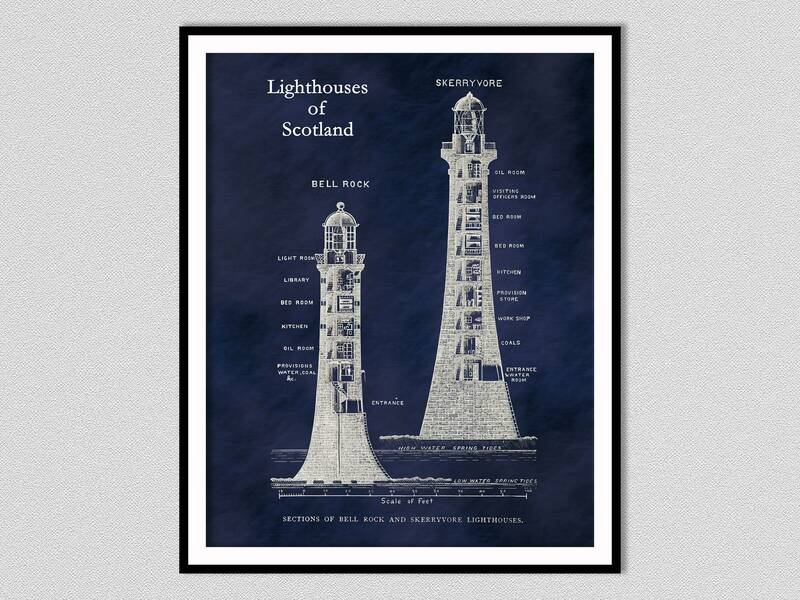 The Bell Rock Lighthouse, off the coast of Angus, Scotland, is the world's oldest surviving sea-washed lighthouse. It was built between 1807 and 1810 by Robert Stevenson on the Bell Rock (also known as Inchcape) in the North Sea, 11 miles (18 km) east of the Firth of Tay. Standing 35 metres (115 ft) tall, its light is visible from 35 statute miles (56 km) inland.